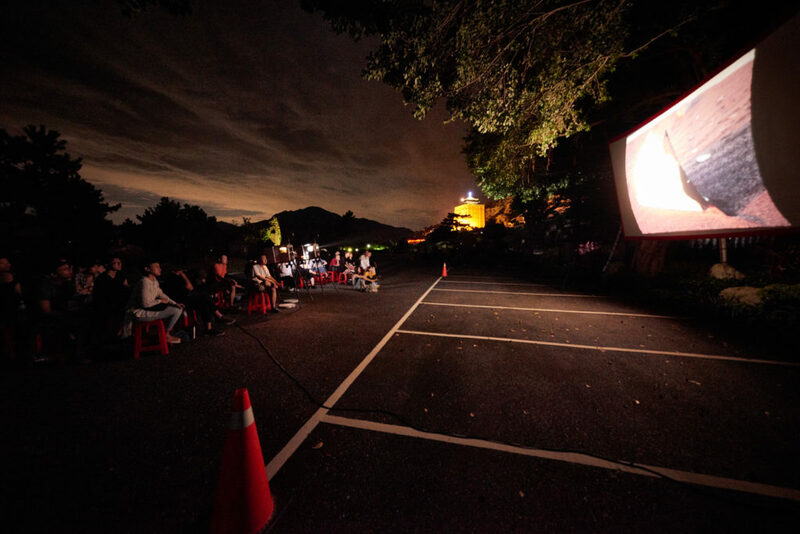 The outdoor screening at the Chin Sao Pao cemetery will feature the Taiwanese premiere of Double Ghosts a new 35mm film work by George Clark / 喬治 克拉克. 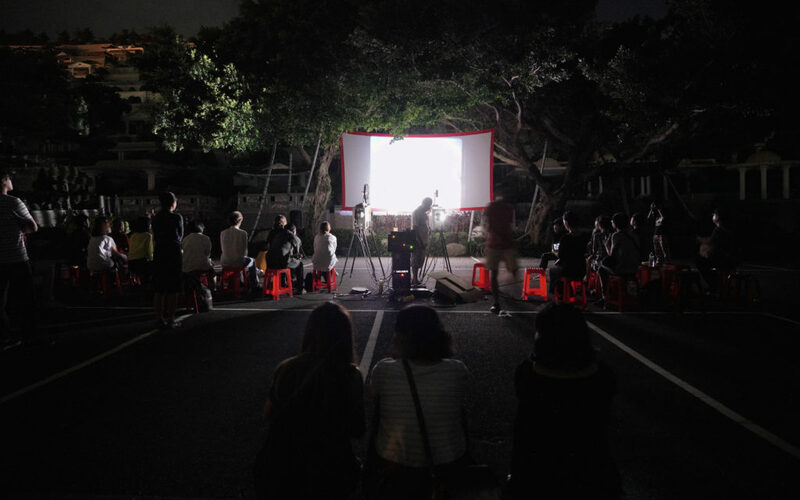 Taking place in the original location of Raúl Ruiz’s unfinished film The Comedy of Shadows/影子喜劇, and on the 7th anniversary of his death, the outdoor projection is a tribute to Raúl Ruiz and his phantom film. 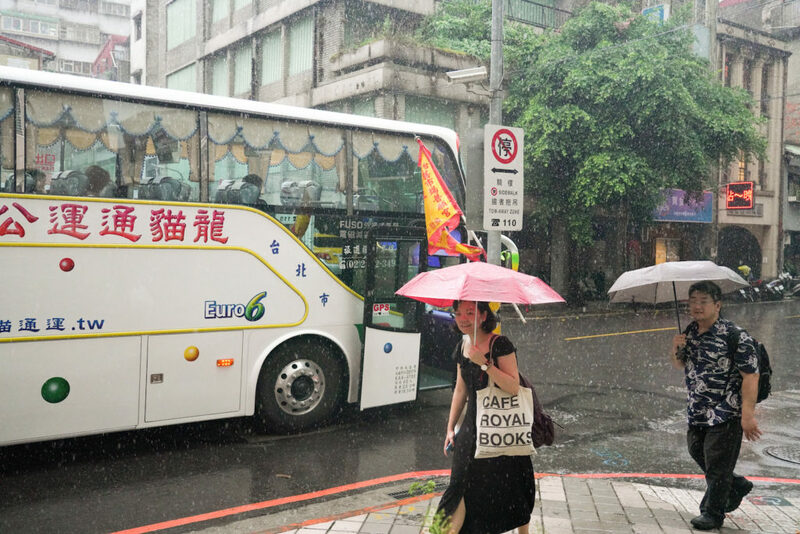 George Clark’s film was made in Chile and Taiwan and considers the echoes of unrealised projects and political histories responding to the life and work of Raúl Ruiz, the legacy of the short lived socialist Unidad Popular government in Chile and Ruiz’s connections with Taiwan and China. 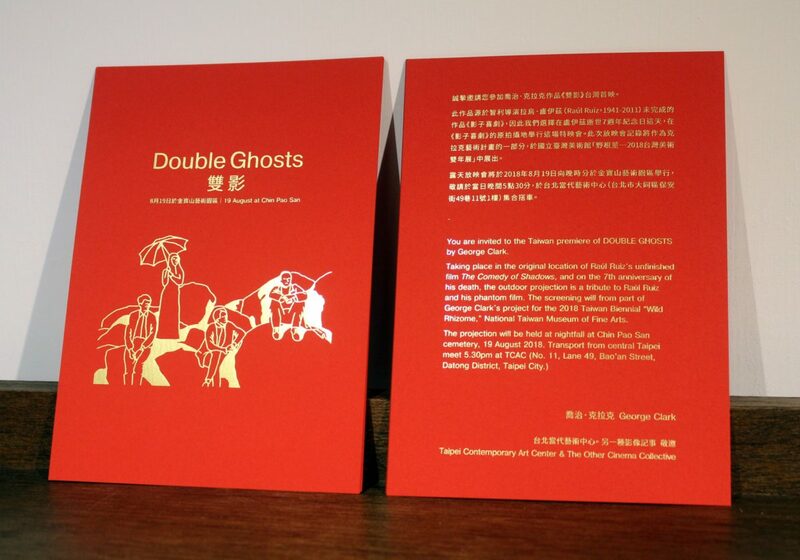 Double Ghosts attempts to use the space of cinema as a site of projection between the past and the present. 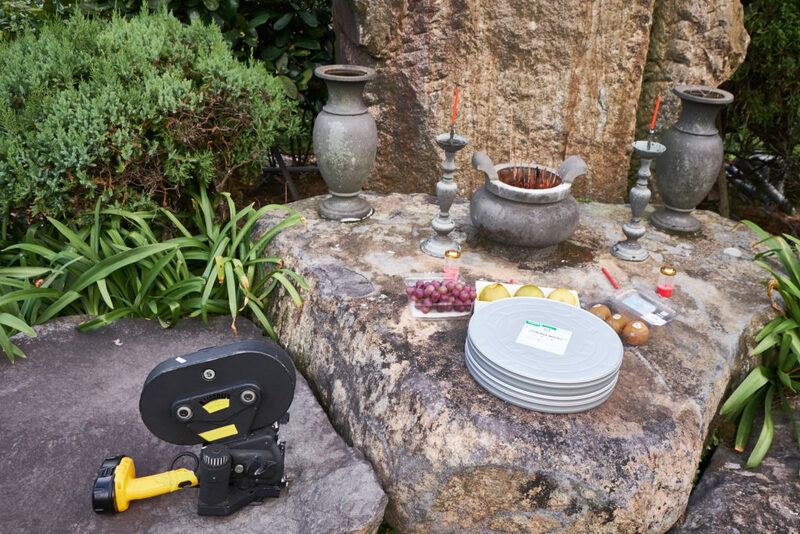 Drawing on the tradition of ceremonial screenings in Taiwan the special event will be realised in collaboration with a traditional temple projectionist invited to present George Clark’s new 35mm film. 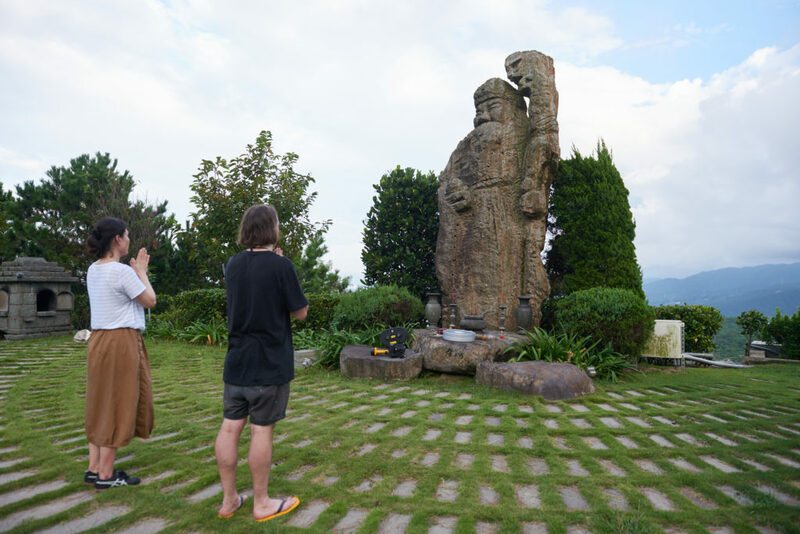 The screening will from part of George Clark’s project for the 2018 Taiwan Biennial “Wild Rhizome,” National Taiwan Museum of Fine Arts. 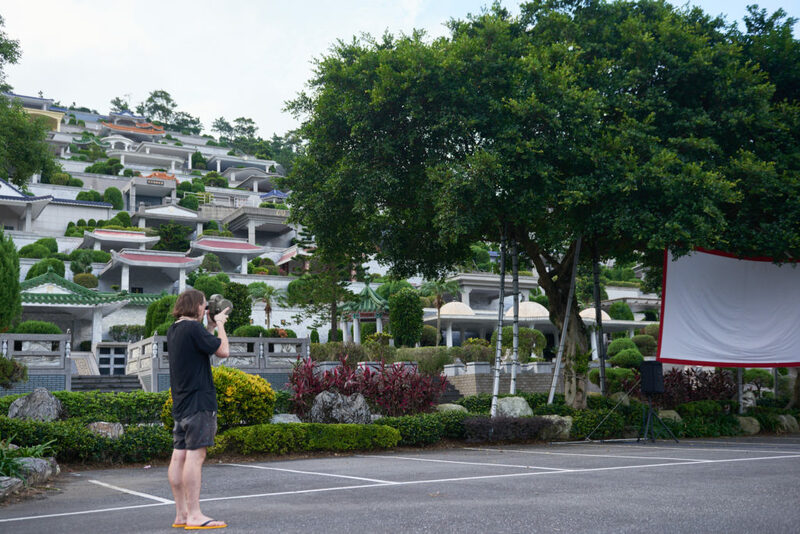 Presented in collaboration with Taipei Contemporary Art Centre, The Other Cinema Collective & Taiwan Biennial. Special thanks to Chin Pao San for hosting event and Huiying Chen, Yuling Chou and Shih-yu Hsu.